A fifty meter roll of 8 millimeter wide thin high quality black Scotch 3M double sided bonding tape, this is perfect for use when mounting iPad touch screens, iPod Touch screens, Samsung Galaxy Tab screens, HTC phone screens and many other devices where you need thin low profile high strength double sided adhesive tape to mount and reassemble parts after original disassembly. 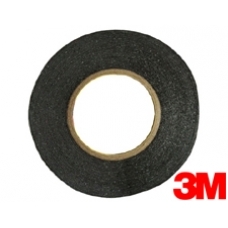 Our 8mm wide 3M branded double sided sticky tape would be suitable in my opinion for attaching LED strip lights to your motor home. We use it for bonding tablet and phone touch screens and it has a great adhesion.